been consulting large enterprises in Switzerland and Austria on migration journey to the cloud. He is passionate about DevOps, microservices and serverless technology. was a lead solution architect on several strategic insurance products. mid-size software development companies and large enterprises. 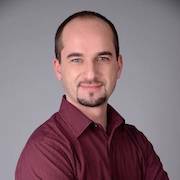 He holds MSc in Computer Systems from the University of Belgrade.